A Mega Guy in Super Mario-Kun. Mega Guys, also known as Mega Shy Guys or Giant Shy Guys, are Shy Guys that are larger than normal. Giant Shy Guys first appear in Super Mario Advance, where they provide a Heart when they are thrown at the ground or defeated. They appear in early trailer of Yoshi's Story, though they are not present in the final game. They also appear in the Yoshi Demo, where stomping one would turn it into a regular Shy Guy. A giant robotic Shy Guy appears in Yoshi's Island DS. One also appears in the WarioWare: D.I.Y. Showcase microgame Mario Adv. A Mega Guy in an early version of Yoshi's New Island. 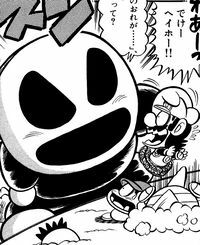 In the small short that concludes the chapter in volume 26 of Super Mario-Kun, a Mega Guy attacks Mario, Goombario, and Kooper. It then pits Mario against Robirdo. Mario, however, grabs the Mega Guy and throws it against the Robirdo, defeating Robirdo and the Mega Guy. Mega Guys also appear in Yoshi's New Island. Here, Yoshi can swallow them to turn them into Mega Eggdozers, which can be used to destroy otherwise indestructible obstacles. Mega Guys require a bit more effort than normal to swallow, as the player has to rapidly press to do it. A metallic variant known as Metal Guys also appear, which are used to make Metal Eggdozers. ↑ "One way to get a Mega Eggdozer is by swallowing a Mega Guy." - Yoshi's New Island digital instruction manual, Page 13 / 17 All about Eggs. 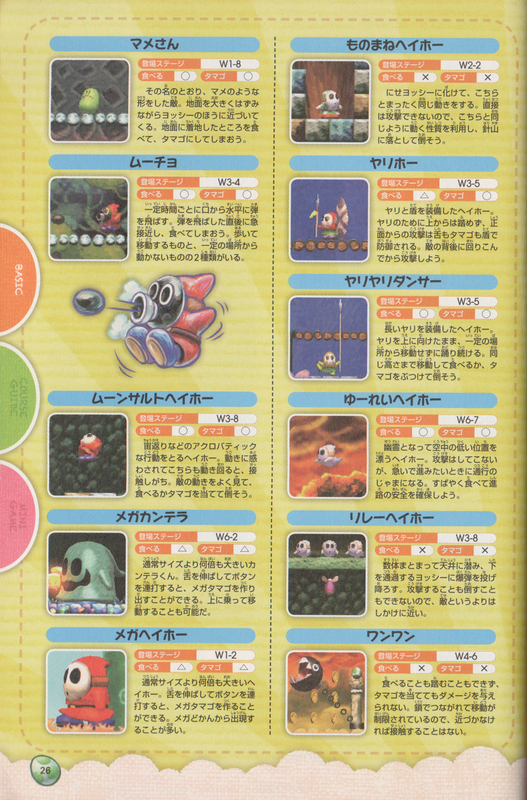 ↑ 「ヨッシー New アイランド 任天堂公式ガイドブック」 (Yoshi's New Island Nintendo Kōshiki Guidebook), page 26. This page was last edited on March 22, 2019, at 22:01.